NAMI Sussex envisions a community where those impacted by mental illness obtain the help, support and hope they require to achieve resiliency, recovery and wellness. FREE SUPPORT GROUP MEETINGS - JUST SHOW UP! Support, information and referral for family members/friends who have a loved one with mental illness. Tuesday, April 2, 2019, 7-9 p.m.
For adults who have experienced mental health challenges. For parents/guardians of children and teens with emotional, behavioral, or mental health challenges, in collaboration with Family Partners of Morris & Sussex Counties. Tuesday, April 23, 2019 from 7:00-8:30 p.m.
For veterans, police and first responders recovering from post-traumatic stress as a result of their service. For those who have completed our Family-to-Family course. Tuesday, April 16, 2019 from 7-9 p.m.
﻿On Sat. Sep. 28, 2019, the NAMI Sussex walk team will be participating in the NAMI NJ Walk on the boardwalk at Seaside Park. The Walk is a fun, family-friendly, wheelchair-friendly event and an excellent way to let your voice be heard! Please register as a walker, or a "virtual walker" if you can't walk with us, or support our team with a donation (any amount is appreciated), and help us raise funds so we can continue to offer free programs, courses and support groups. Click here to join our team or make an online donation. Donations by check should be made out to NAMI NJ and mailed to NAMI Sussex, P.O. Box 652, Sparta, NJ 07871 - write "NAMI walk" in the memo line. Thanks for your support & generosity! NAMI Sussex will hold its annual meeting on Mon. April 8th , 7 - 9 p.m. at Bridgeway, 93 Stickles Pond Rd., Newton. Come and reconnect with members whom you haven’t seen for a while and meet other members. The Board is eager to hear your thoughts and ideas on future programs and events. We will also elect board trustees for 2-year terms, adopt the budget for fiscal year 2019-2020, recognize our volunteers and give away door prizes. Prizes include restaurant gift certificates, NAMI Sussex t-shirts and several other delightful surprises. Click here for flyer. Any member who would like to request copies of minutes from any previous General or Board meeting may do so by emailing nami.sussex@gmail.com. The Division of Mental Health and Addiction Services (DMHAS) will hold “Listening Sessions" on April 1 in Morris County Library and April 4 in Burlington County Library, 6-8 p.m . These listening sessions give individuals with lived experience of mental illness and families an opportunity to express concerns and provide feedback on mental health community support services and to let them know what you think we need most. This is your opportunity to speak directly to the DMHAS leadership and to contribute directly to the improvement of our state's mental health services! View flyer . 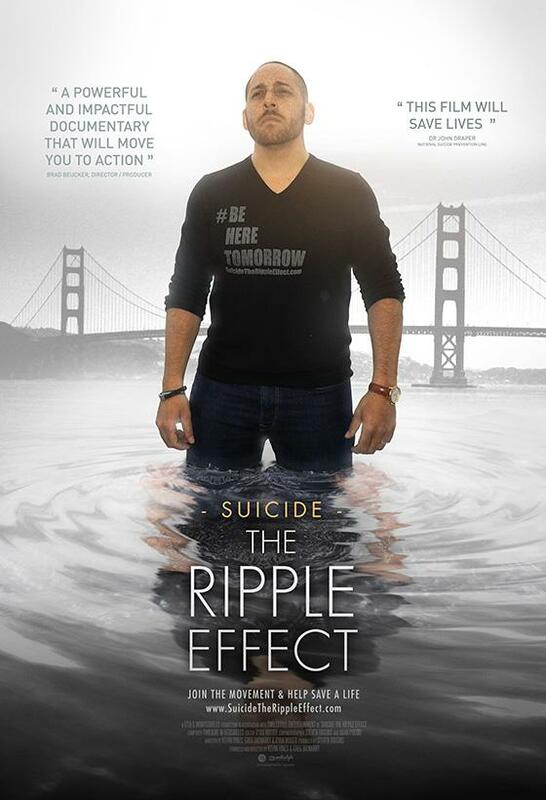 SUICIDE: THE RIPPLE EFFECT - Free documentary film screening. Tues. Apr. 2nd, 7 p.m. at Jefferson Twp. High School . The film highlights the journey of Kevin Hines, who at age 19, attempted to take his life by jumping from the Golden Gate Bridge. The film chronicles Kevin’s personal journey and the ripple effect it has on those who have been impacted by his suicide attempt and his life's work since. Click here for information and registration. INTO THE LIGHT - Free documentary film screening. Wed. Apr. 10th, 5:45 - 8:15 p.m. at First United Methodist Church in Newton. 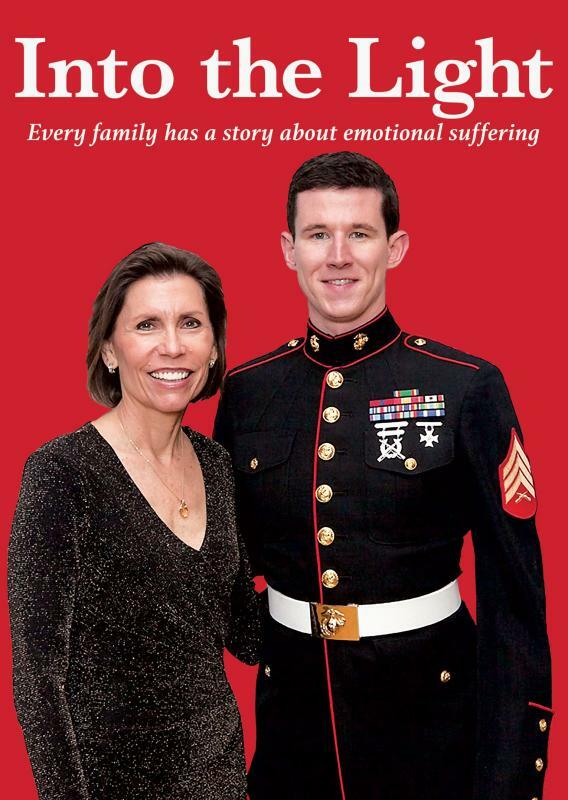 The film focuses on Brendan O’Toole, a former Marine, and his struggle to assimilate back into society after returning from war, and Dr. Barbara Van Dahlen, founder and president of Give an Hour, as she comes to the realization that she needs to share her own story. Ultimately this is a film about trust…the trust we put in one another so we can feel safe to tell our stories. The film’s purpose is simple and direct: to serve as a conversation starter for people to change the culture around mental health, mental illness and emotional well-being. The documentary will be followed by a guided discussion in which to explore and share your thoughts, feelings and experiences as they relate to the people and matters presented in the film. Click here for information and registration. THE KIDS WE LOSE - Free documentary film screening. Thurs. Apr. 11th, 6 - 8:30 p.m. at Sussex County Community College . The Kids We Lose is a 90-minute documentary film about the human side of being a child or student with behavioral challenges, and the struggles faced by parents, educators, staff in facilities, mental health clinicians, and law enforcement professionals in trying to ensure that these kids receive the help they need. The Kids We Lose also exposes the often brutal, inhumane ways in which kids with social, emotional, and behavioral challenges are treated in schools, inpatient psychiatry units, residential facilities, and prisons. Their hopelessness, misery, and frustration are palpable. The human toll is hard to fathom. But these are also the most expensive kids in our society. Doing the wrong thing costs a fortune. When we don’t help our most vulnerable kids, we all lose. And it’s all so counterproductive and unnecessary. The Kids We Lose is not primarily about how to solve the problem. It is intended to heighten awareness of the problem and galvanize people to change things for the better. Click here for information and registration. WHO WILL CARE FOR MY LOVED ONE WHEN I'M GONE? - Free presentation by PLAN NJ. Wed. Apr. 3, 6:30 - 8:30 p.m. at IFSS Sussex, Newton . Click here for information and registration. NAMI Homefront is a free 6-session online program for family, friends and significant others of military Service Members and Veterans. The class helps families understand what the Service Member/ Veteran is experiencing related to trauma, combat stress, civilian life transition, PTSD and other mental health conditions. *Please note the TIME ZONE listed for the class time. Sessions in other time zones are filled. An application process is required to ensure this program is a good fit. Space is limited. Click here to register. The Autism Summit - Apr. 1 - 5. Click here to register. ﻿Interpreting Your Genetics Summit - Apr. 1 - 7. Click here to register. Broken Brain 2 - Apr. 3 - 9. Click here to register. BBRF Webinar: Circadian Rhythm and Bipolar Disorder - Apr. 9 - Click here to register. The Best of Chronic Lyme Disease Summit - Apr. 15 - 21. Click here to register. The Energy Medicine & Healing Summit - Apr. 22 - 26. Click here to register. The Power of Positive Summit - Apr. 22 - 28. Click here to register. 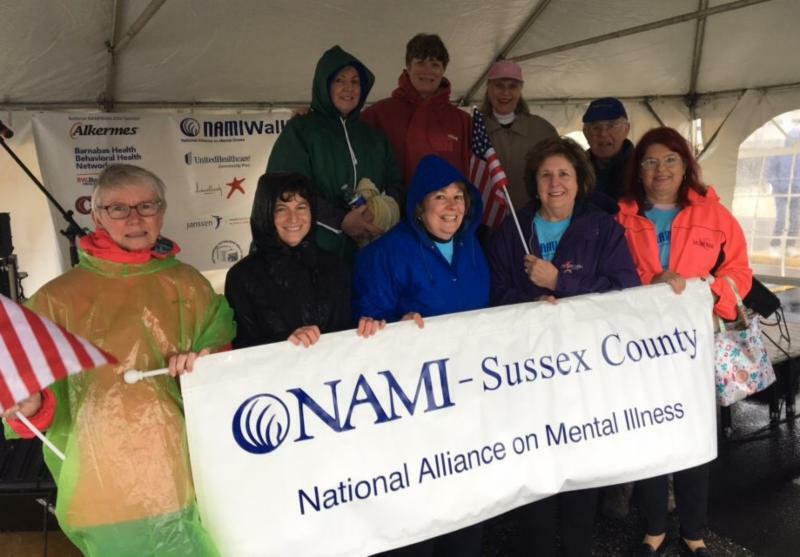 NAMI Sussex is an all-volunteer 501 (c)(3) nonprofit organization that provides support, education, and advocacy throughout the Sussex County, New Jersey area on behalf of individuals and families affected by mental illness.